Brie Salad/ Bratwurst Soup/ Zwiebelkotlett « GASTHAUS: got 'kraut? 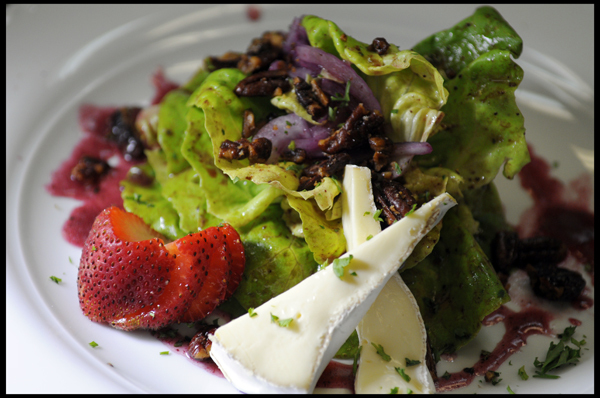 Bibb Lettuce, shaved Red Onions and Roasted Pecans tossed in a Homemade Blueberry Vinaigrette served with Brie Cheese. 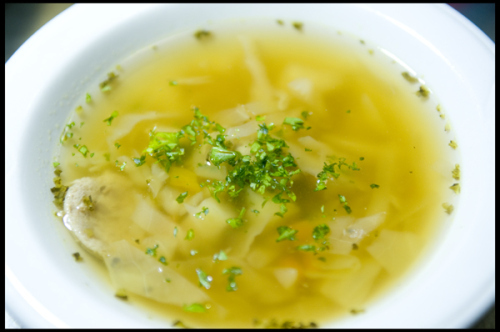 A Flavorful Brothy Soup with Bratwurst, Cabbage, Potatoes, and Carrots. 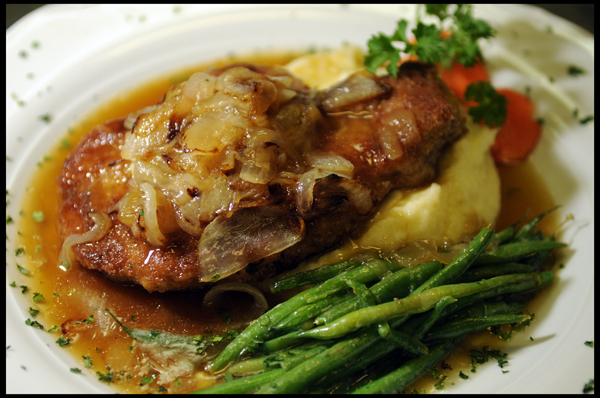 Tender breaded Pork Chop topped with Onion Au Jus served with Mashed Potatoes and French Green Beans.